At Berkshire Natural, we provide healthy snack and fruit delivery to Boston-area companies. But while some of our clients are willing to foot the entire bill for the healthy products their employees consume, others are looking for a more cost-effective solution. And we have one: subsidized vending. Here’s how it works: we install a vending machine at your company (which can vend both snacks and drinks) and you decide how much of the product cost your company would like to pay. Maybe it’s 30% or 50% or $1.00 off everything in the machine. Whatever you decide, employees will still be getting access to healthy, delicious products and they’ll be happy to be getting items at a discount. At the end of each month, we send you an itemized bill with what employees consumed. We do find it’s better to start with a smaller subsidy and increase it later once you see what employee demand is like. That way, you’re not in the position of taking something away from your colleagues that’ve gotten used to. 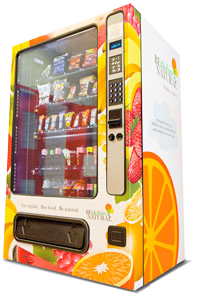 If you’d like to learn more about our subsidized vending program or about our healthy snack and fruit delivery to offices in the Greater Boston area, please contact us.